This venture from the Bramble Bar boys sees them hired as consultants for the likes of luxury yachts in Canne! Nice work if you can get it. 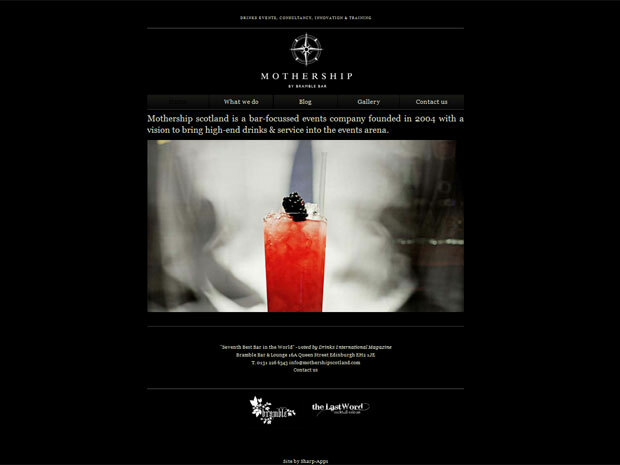 Mothership required a slick, elegantly styled website - the ultimate online calling card. Edinburgh’s West End is…ready to welcome you. Our online hub helps science move the times. A website experience to remember for BBSRC. Proudly saying hello (again) to Stirling Uni. Here’s the news…you’re looking at it. We’re iPhone and iPad App Developers! Did you know we do hosting?